Input devices are basically key boards, Cameras, etc. Any machine that feeds data into a computer are input devices. 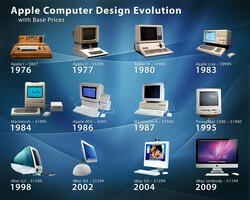 Here is a image of the history of Apple computers. Apple has evolved so much that it is one of the most popular computers in the world. Here is a video about input devices. For more videos, click on the button bellow.